Honey fungus has a sweet sounding name and is potentially lethal to the trees and shrubs in your garden. It is called honey because of the honey coloured mushrooms it produces in autumn. 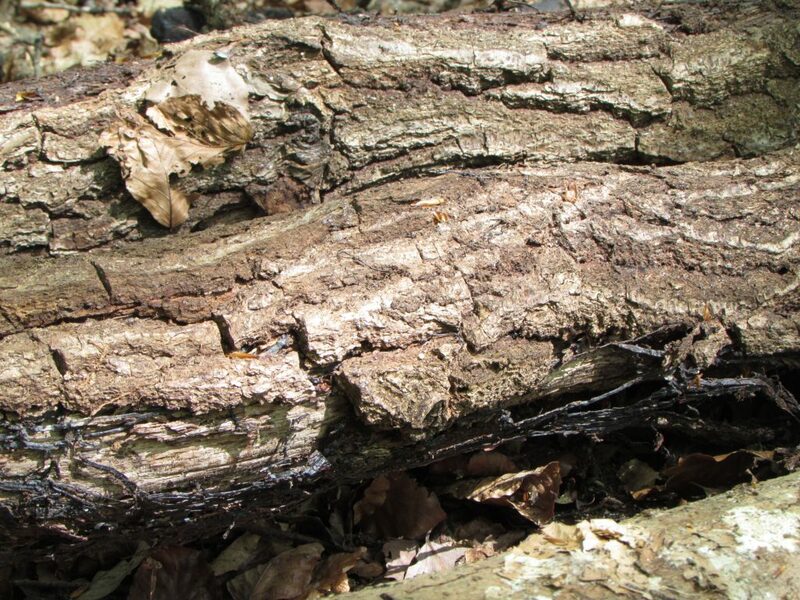 Scientists says that honey fungus is everywhere, living in the soil, ready to strike weakened plants and trees. 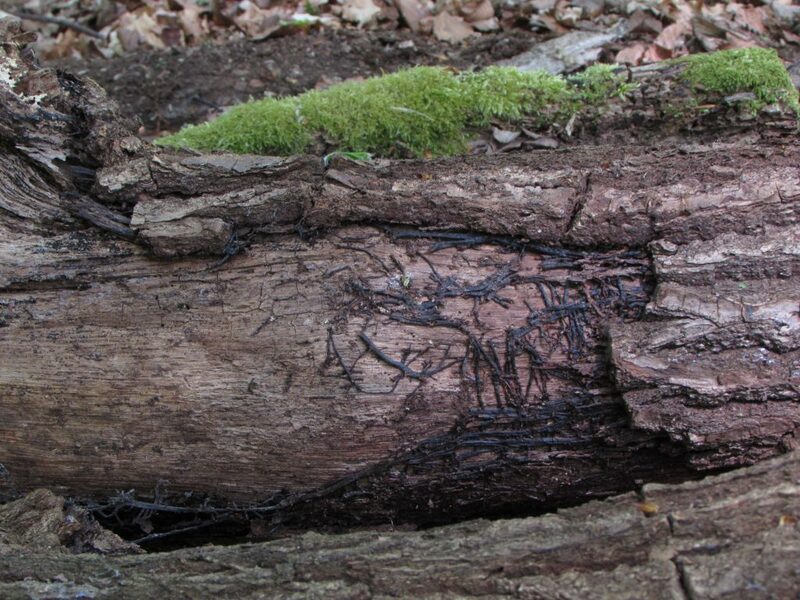 This photo below shows the black rhizomorphs, which are often described as being similar to black bootlaces. The rhizomorphs are the main way the fungi travels through the soil acting as a conduit to maintain the nutrient supply as it spreads out from the host plant in search of new plant material to infect. Not all species of Honey fungus are lethal to trees, but if you find that you have evidence of it in your garden, contact us and we can advise you further.